How will the trunkroom industry establish itself in Japan? Demand for a second closet to store household items is on the rise. 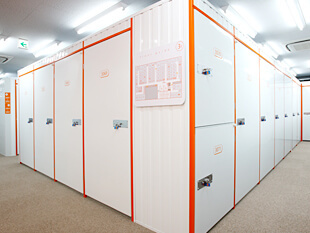 An increase in Self-Storage or Trunkroom facilities utilizing vacant land and building has been seen in the Tokyo Metropolitan area and other urban cities. In the US, self-storage has long been considered a long-term stable asset class with various REITs specialized in self-storage. This report will review the current status of the self-storage market in Japan and its investment potential. The Warehouse type first appeared in the 1970s. At that time, many Japanese companies were starting overseas operations and employees were assigned to work abroad and in need of storage for their belongings. The warehouse operators launched a service for consumers. From around 2000, Container and Rental Storage categories appeared appealing to ordinary households for use as an extra closet or extension of their homes. Arealink opened its first “Container” facility in Ichikawa in Chiba Prefecture in 1999. In 2001, Oshiire Sangyo (established in 1987) with investment from 12 warehouse operators, including JT and NTT, launched Rental Storage type facilities in addition to its conventional Warehouse franchise chain. In the same year, The Baupost Group, a US-based major investment firm, founded Piedmont Storage Management (now Quraz) and entered the Japanese market with a Rental Storage product. In 2006, Mitsui & Co. also launched a Rental Storage product named Storage Plus as part of its Urban Planning & Development Division with a view to creating a REIT. According to the 2011 Storage Business Market Survey by Yano Research Institute, the size of the total storage market in 2011 was 45.55 billion yen, a 4% increase over previous year. The breakdown is: 1) Warehouse – 3.31 billion yen, 2) Rental Storage – 20.04 billion yen, and 3) Container - 22.19 billion yen, each of which was up around 4% year-over-year. Arealink, with its main product Container, increased storage revenue in 2011 to 4.89 billion yen up 53% from 2007. 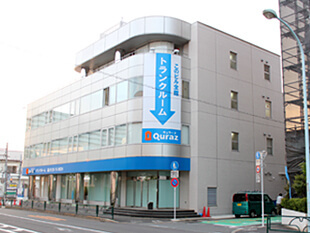 Quraz currently operates 45 “Rental Storage” shops nationwide and its 2012 revenue is expected to double from 2008 to 3.56 billion yen. What is the driver of market growth? All storage operators say demand is driven by increased awareness. Many operators aggressively opened facilities in Tokyo exposing residents to this new product. Also, media coverage about how to effectively use rental storage as part of “Dan Sha Ri” (Japanese phrase for getting rid of clutter and living a simple life), has stimulated demand. Furthermore, movers from suburban areas to smaller urban homes are using storage to organize belongings. After the Great East Japan Earthquake in 2011, risk diversification has become another keyword. Many people moved their important household goods to storage to risk hedge against disasters. Despite fast growth, penetration levels are still low. Yano Research Institute estimates the total number of Rental Storage and Container units in Japan to be 320,000. As the total number of households in 2011 is 53.55 million, Japan’s penetration is only 0.5%, or 1 unit for every 170 households. Even in Tokyo and its neighboring three prefectures where 201,000 units are concentrated, penetration is still 1 for every 80 households. Given that the penetration is the U.S. is 10% (according to the U.S. Self Storage Association), there is still plenty of room for the operators to grow even if the marginal penetration rate in Japan is 5% or lower. The US has self-storage REITs, is the Japanese Self-storage similar to the logistics warehouse market 10 years ago? Trunkroom operators have similar strategies for shop opening. They have been expanding by proposing a new way to utilize vacant land, building or floor space to owners. 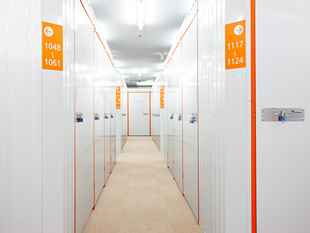 Many Rental Storage facilities are found in urban residential areas such as Tokyo and Kanagawa. They don’t necessarily need to be located near the station but proximity to the highway is desired as many customers drive to the facilities. Operators lease or buy office/commercial buildings that are vacant due to poor location or age. Some operators build on small plots of land that are unsuitable for residential. Container operators lease plots of land the suburbs and stack containers. Each type of trunkroom offers a wide variety of unit sizes from1.6 to 20 sqm. The average monthly rental rate for rental storage is 7,000-8,000 yen/sqm in the Tokyo 23 Wards and 5,000-6,000 yen in other areas. Containers are less than 5,000 yen and found in suburban areas. Trunkroom rental rate exhibits less volatility in comparison to office and residential and some operator say they have been able to push up prices. According to the major operators, current occupancy rates are around 80%. It takes 6 months to 1 year for a new shop to break even and 2 years to stabilize, so new shops weigh down the average occupancy. Takahide Watanabe, President of Storage Plus, says “Compared to other real estate assets, the risk from a customer move-out is small because the revenue generated from single tenant is low. Also, the rate of move-out itself is actually low. Once a shop fills, it stays full - that is one of the biggest features of the storage business. The success of storage business depends on how much operators can minimize rent or purchase price of the properties and how fast the shops achieve stability to maintain occupancy of 90% or more. In the US, self-storage has been a reliable and stable investment asset class. Public Storage is the biggest self-storage REIT with a market cap of 1.8 trillion yen. In Japan, however, self-storage is not even considered as investable largely due to the fact that: 1) most companies operate a sublease model (they don’t own properties) because of a high land cost, and 2) small property sizes. Stephen Spohn, President of Quraz, says “It would be easy to understand the current self-storage market if you compare it to the logistics market 10 years ago”. When the consumers start to ask for better service, the quality of self-storage facilities will improve. If such improvement works to increase awareness and demand, more operators will enter the market, accelerating liquidity. There has been movement amongst US investors considering self-storage investments in Japan including market tours. It may not be long before the self-storage business in Japan becomes investment grade.